6. 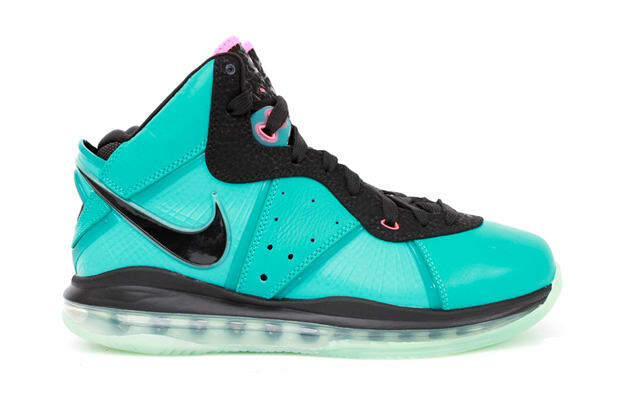 Nike Air Max LeBron 8 "South Beach"
Iman Says: "These joints are of rare form. You couldn't find a pair now if you tried — I got mine tho!!! I love these because I'm an anti-pink wearing guy, unless it's for breast cancer, but these we're too dope to resist the purchase so I acquired a pair. S/O to @KingJames."